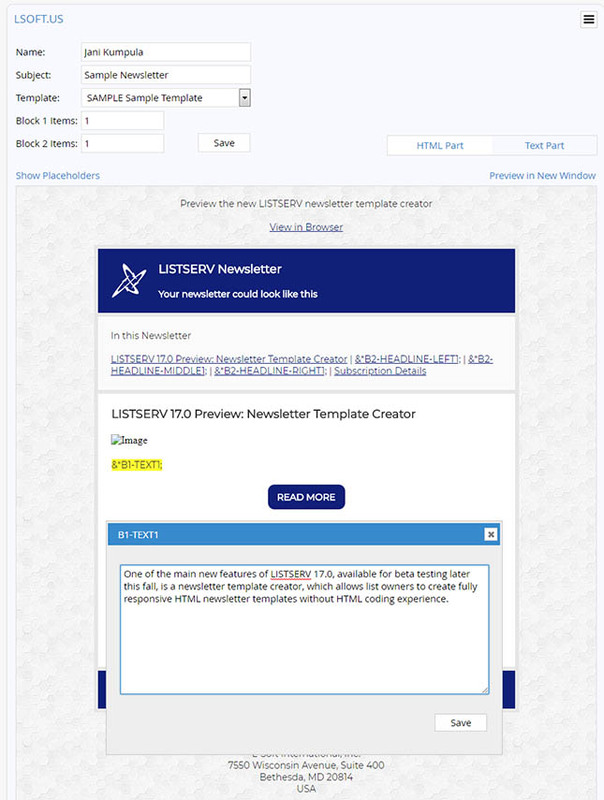 One of the main new features of LISTSERV 17.0 is a newsletter template creator that allows list owners to create fully responsive HTML newsletters without HTML coding experience. 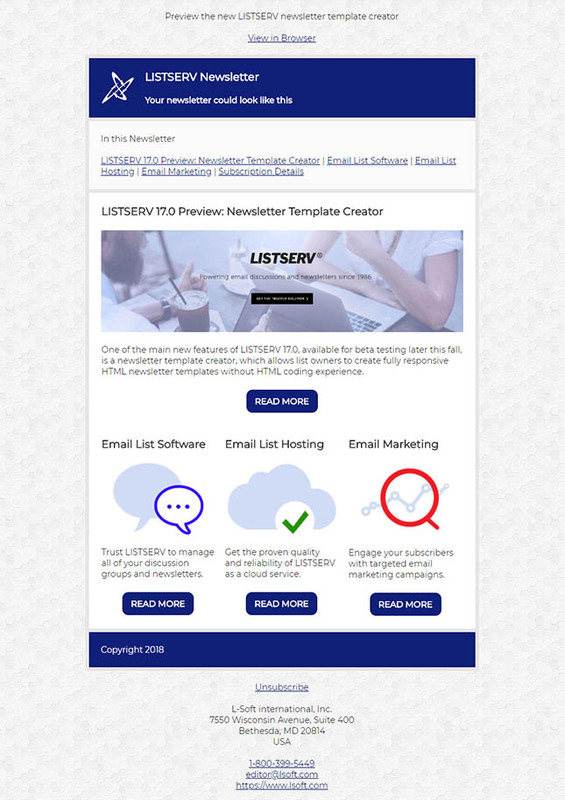 The system comes with 46 ready-to-use HTML newsletter templates, offering a variety of layout styles, color schemes and content blocks that can be used as-is or modified as needed. 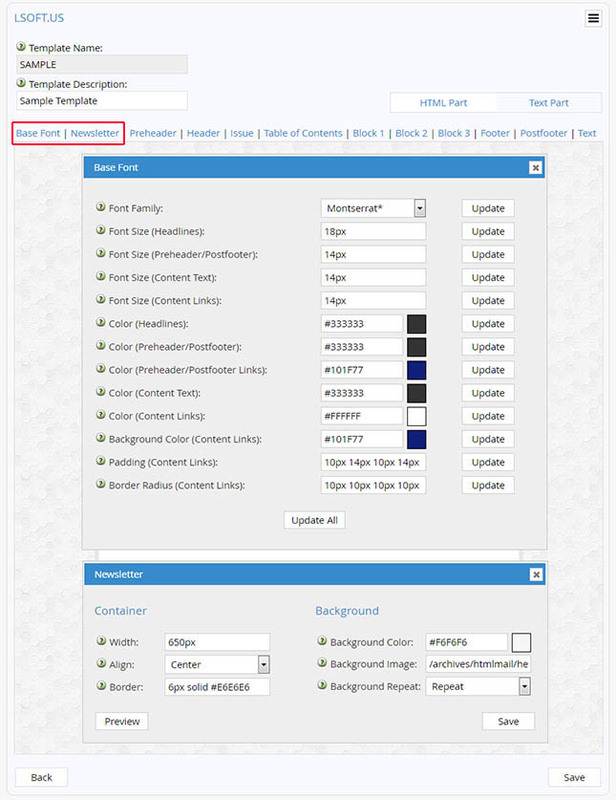 When creating or modifying an HTML newsletter template using the built-in editor, you are presented with several menu options. The "Base Font" menu lets you make changes to the font family, sizes, colors and links that apply to all sections of the newsletter. The "Newsletter" menu contains all of the options to set the width, alignment and border of the newsletter as well as the background color and any background image that you want to use. The rest of the menus are section-specific. 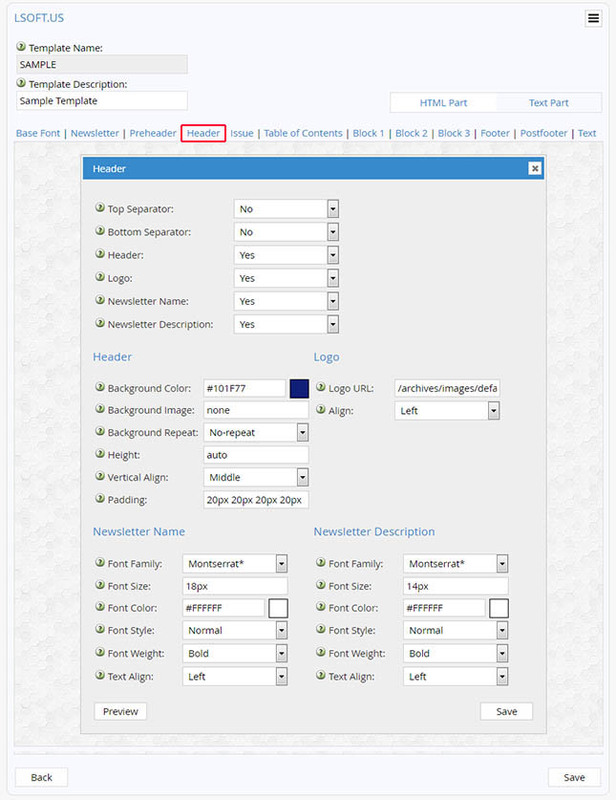 The "Header" menu deals with the top banner and allows you to insert the newsletter name and a custom logo. You can also use an entirely graphical banner if you prefer. The "Footer" contains the same options for the bottom banner. The optional "Table of Content" sections enables you to include an automatically generated table of contents with anchor links to each item in the newsletter. Simply use the pulldown menu to decide whether to include one. 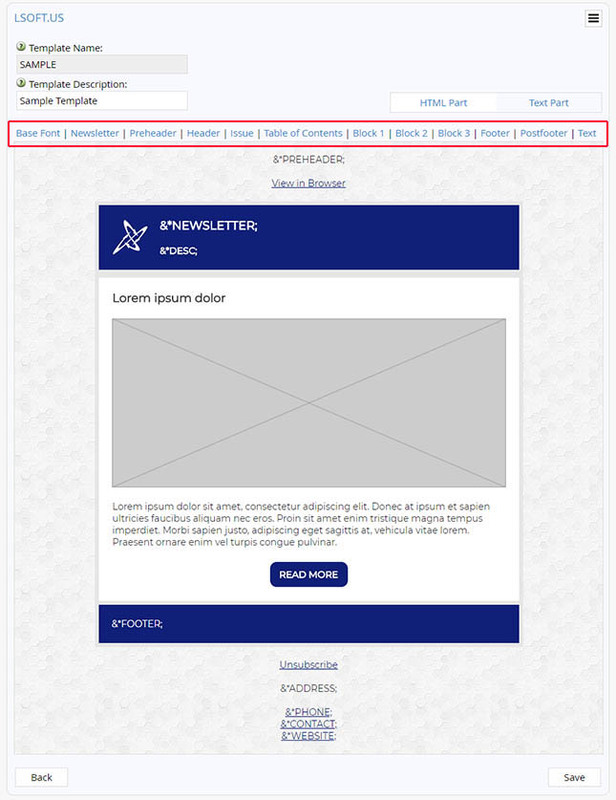 The table of contents can either be placed right below the top banner or in the sidebar if the newsletter has been configured with one. 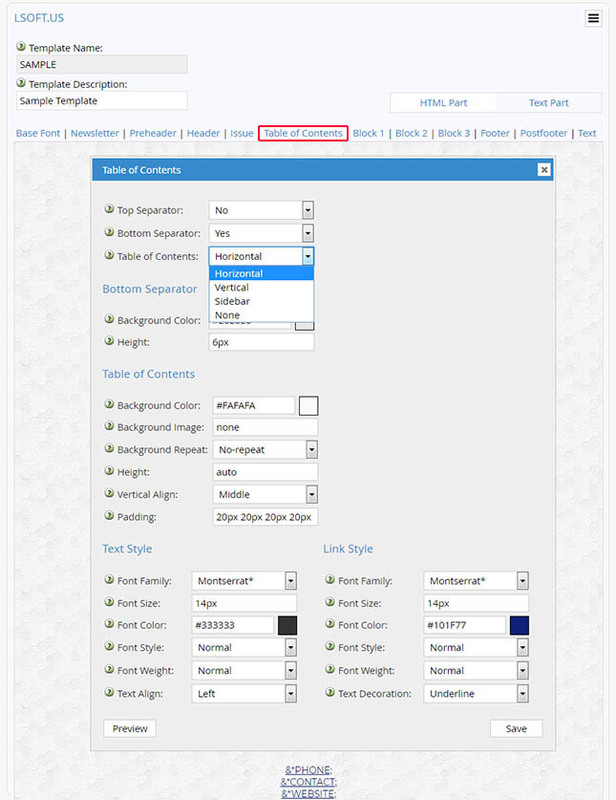 The "Block 1", "Block 2" and "Block 3" menus is where you control the layout of the main content area. 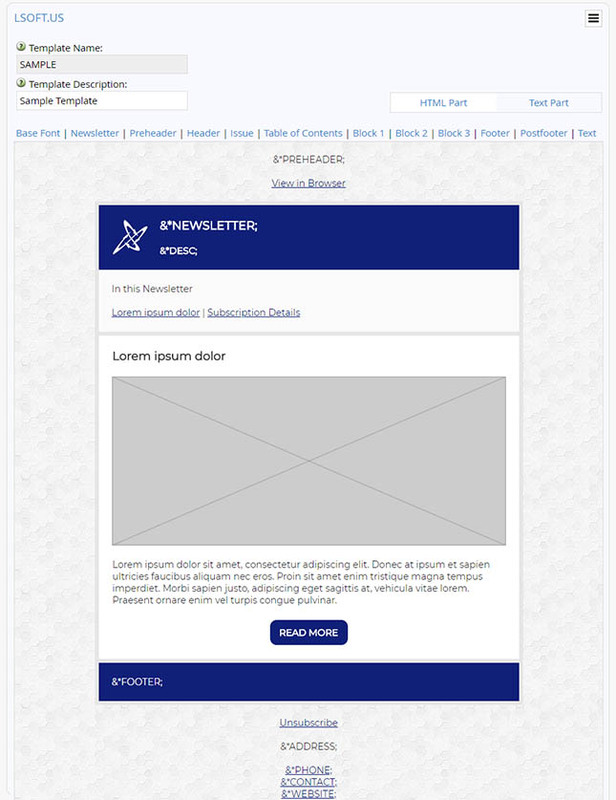 You can include three types of content blocks with each newsletter template. Block 1 is required for all newsletters, while Block 2 and 3 are optional. Each content block is independently repeatable as many times as you want when you send individual newsletters, so there is never any need to create and include identical content blocks. 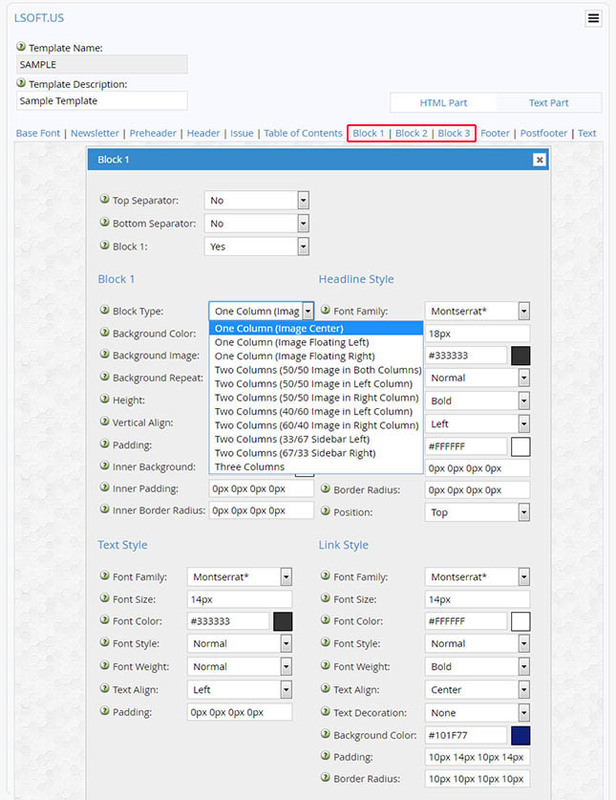 Instead, Block 2 and 3 should only be used if you want to create a newsletter with different layout styles, for example a one-column design in the beginning and a three-column design below. All layout styles are fully responsive, which means that the layout will adapt and change on smaller viewports like mobile devices. You also have full control over the headline, text and link styles. Links can either be regular hyperlinks or in a more eye-catching button format. All of the HTML and placeholders are generated by the system, so there is no need to tinker with any code. A plain text alternative is created automatically. When you're ready to send your newsletter, you simply choose how many times each content block should repeat, depending on how many news items you have. To insert your content, just click on the placeholder name. A modal window opens where you can type or paste your content, images and links. 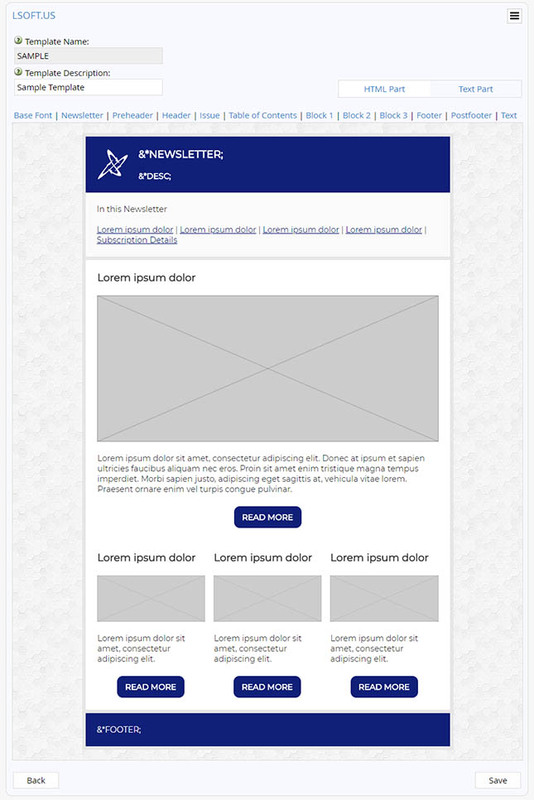 When you have populated all of the placeholders with your desired content, the newsletter is ready to be sent. Beta testing starts later this year. 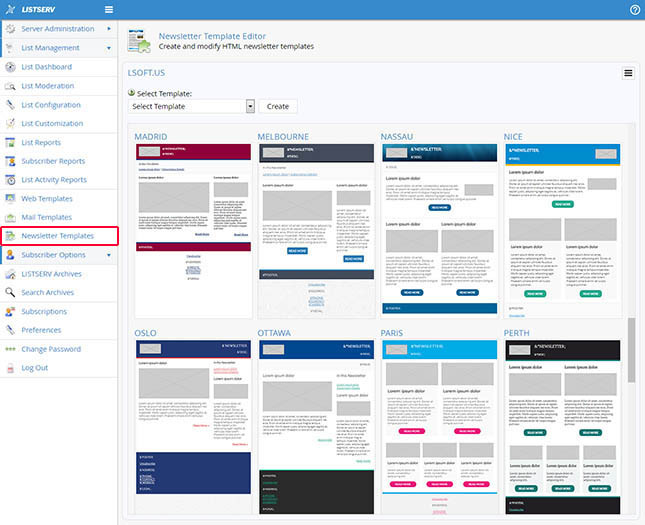 If your organization is interested in testing the new version and the responsive HTML templates, contact us at: beta@lsoft.com.